Researchers have found yet another reason to be wary of eating whale meat, and it could be deadly. Toxoplasma gondii, one of the most successful pathogens on Earth, has been discovered in the tissue of marine mammals -- namely, beluga whales in the Arctic. 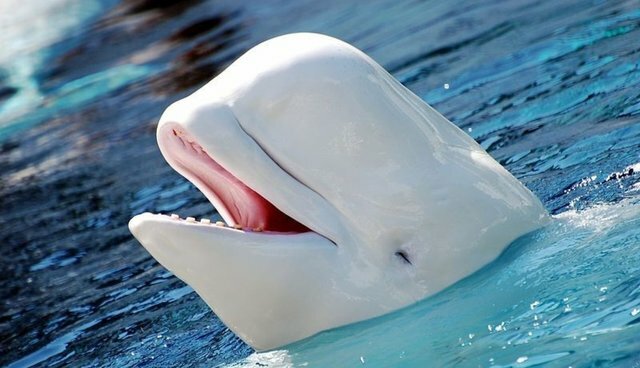 In a groundbreaking study, researchers at the University of Vancouver in British Columbia tested hundreds of beluga whales in the Beaufort Sea, and showed that 14 percent of the animals harboured the infection. "This is now emerging in the Arctic and there's not much we can do about that. This is the new normal," Professor Michael Grigg told the Guardian, adding that while the infected whales did not appear ill, the sick ones just may not have been found by the team. This is a problem not only for belugas, but also for the Inuit populations who often eat strips of their meat in stews. While the infection is usually harmless 10 percent of people may develop flu-like symptoms or eye problems that can lead to blindness. Even worse, the infection has also been linked to schizophrenia and bipolar disorders. The root cause of the infection, T. gondii, is well known as a pathogen passed from domestic cats to their owners. According to the researchers, the most likely cause of the outbreak was infected pet cat feces that was dumped into waterways, eaten by fish and other marine animals who were ultimately eaten by the whales. The rise in pet cats among Inuit people is likely the source, they say. While there is cause for concern for both animals and people, the situation is not catastrophic, say researchers. "The Inuit's traditional processing and cooking methods should be enough to kill Toxoplasma but vulnerable populations such as pregnant women need to be extra vigilant around handling and consuming raw whale meat," said Grigg, noting that it can also be spread when people don't wash their hands after preparing food.